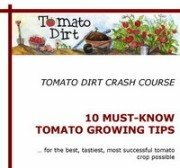 What steps can you take to grow tomatoes from seed? Plus, our Seed Starting FAQs answer your questions. 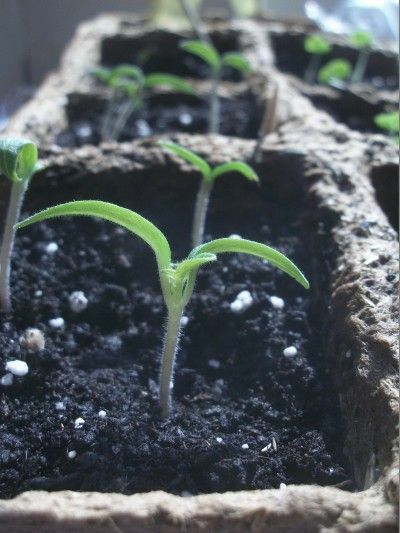 When you plant seeds indoors in early spring, you will be ready to grow tomatoes for yourself as soon as the danger of frost is past and the soil is warmed. And growing tomatoes for yourself is economical and fun! You’ve calculated the best time for seed starting indoors in your area. You’ve also picked a spot indoors where your seedlings can grow, selected containers, chosen potting mix, and moistened it. The gloves are off! It’s time to plant seeds. Fill containers with moistened starter mix. (Reminder: seed cell trays work well for seed starting.) Make sure container bottoms have holes for drainage. Tamp soil down to remove air pockets. Use a pencil to poke a small hole in each cell or container. Plant seeds with a tweezers or pinch seeds between your fingers. Cover holes with pinches of extra moistened soil. Mist your planted seeds with a spray bottle filled with water. Keep records on planting dates and sprouting dates for different varieties. Q. How deep should I plant seeds? A. Some gardeners say 1/4". Some say 1/8”. A good rule of thumb for any seed is to plant it 4 times its diameter. Q. How many seeds should I place in a hole? A. Two, maybe three if you’re worried about germination rates. You can thin them out after germination. Q. How many seeds should I plant? Q. What kind of germination rate is normal? A. Less than 100%. Federal standards require 75% germination rate for commercially-produced seeds. Most gardeners expect 80-90%. You can improve your germination rate when you pre-sprout seeds. Q. When will my seeds sprout? A. In 4-10 days, depending on variables like moisture, heat, and light. Q. How can I improve germination? A. Moisture and warmth work together. Don’t let the soil dry out! But don’t let it get soggy, either. Seeds need moisture to germinate. Keep containers covered to preserve moisture. Place containers in a loose clear plastic bag or under a clear plastic cover. Mist your seedlings when needed. Also, keep room temperature between 70-80° F. If it’s cooler, your seeds can germinate, but it may take a little longer. Q. Should I fertilize my seeds or newly-sprouted seedlings? A. Not yet. They feed on the food stored in the seed. Q. When should I place my planted seeds under lights? What potting mix is best for seed starting?